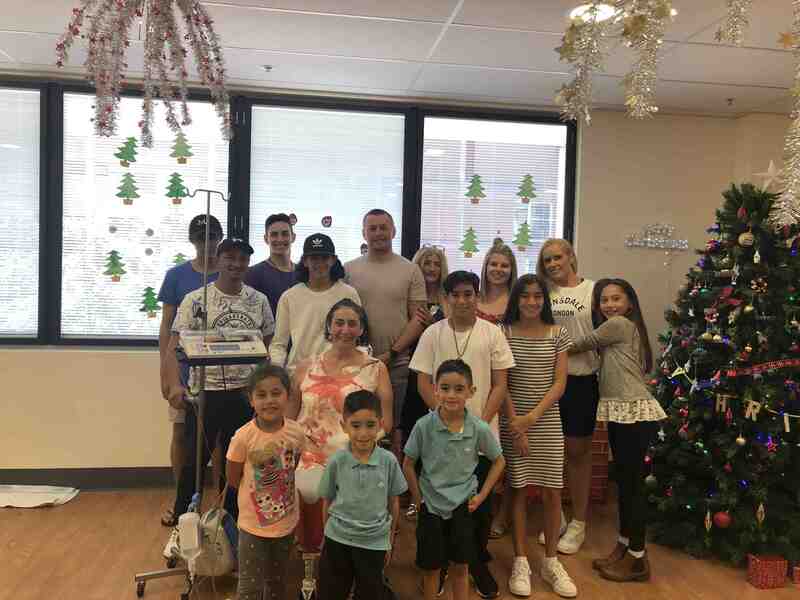 I am the sister of Tamara in May 2018 she was admitted to hospital with pneumonia, they had then diagnosed Tamara with a blood/lung infection known as Sepsis. Tamara was in an induced coma for 8 days and in that time her heart, lungs and kidneys all had collapsed. The doctors did a great job in keeping her a live but then brought as the news that due to poor blood circulation her hands and toes would become black, gangrene. Most likely need to be removed. as the months have gone by she has stayed in hospital leaving behind her 7 children and partner to manage the kids on his own. and 2 months ago they had to amputate both her legs one at a time for healing and she has since been learning to walk with prosthetics. 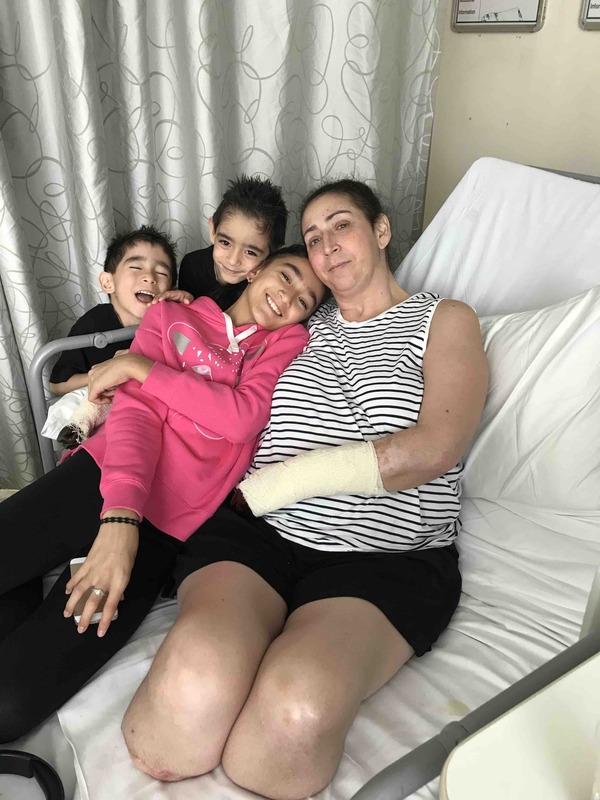 her hands have repaired as much as they are likely to and doctors are hoping to save a palm on the right hand and to the wrist on her left hand. Eventually when she is discharged she will require around the clock care supported by the NDIS. 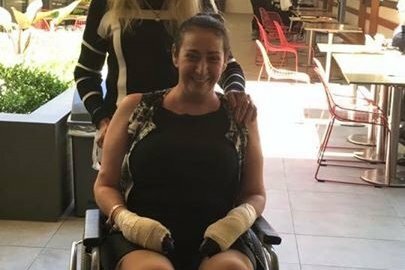 We are wanting to start a go found be page to do some minor renos to their house for her well being and also a vehicle equipt for a disabled person that potentially in the future be fitted for my sister to start driving again. we are greatful for this opportunity and looking forward to having her home for a brief time over xmas. Things are going great with Tamara she getting better with her walking and the doctors are starting the procedures with her hand and we are still keen for day release for Xmas day. Everyone will have to tune into the Project on Channel 10 Tuesday at 6:30pm as Lisa Wilkinson will be interviewing Tamara about her journey!! We’d like to thank everyone who has shared and donated this far ❤️ and we’d like to give everyone an update on Tam’s progress she has been learning to walk in her prosthetics and she’s doing fantastic! Last fortnight she Under went surgery on her left hand and unfortunately the doctors couldn’t save her hand although they tried very hard and we are still awaiting news on her right hand procedure.